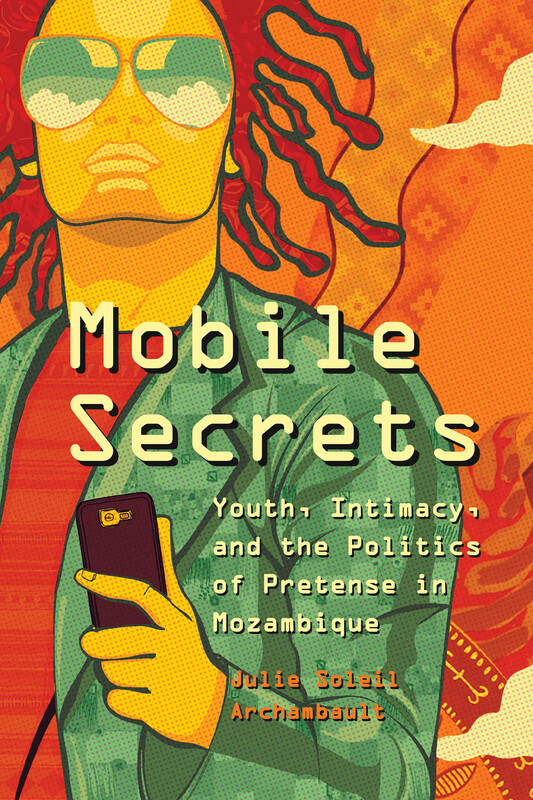 Ilana Gershon: What is so fascinating about A Village Goes Mobile is how effectively you use your long historical relationship with a West Bengali village to reflect upon how the introduction and decade-long use of mobile phones affects social relationships. Which aspects of your previous research shaped your research foci and your questions? Sirpa Tenhenun: My previous research in Janta focused on gender, kinship and politics, so I was inclined to continue to observe these aspects of culture and society when I started working on the appropriation of mobile phones. Without my long-term relationship with the community I might not have been able to recognize changes, and how mobile phone use, on the one hand, contributed to these changes and, on the other hand, to how mobile phone use was intertwined with changes. I, for instance, could observe how mobile phone use helped transform kinship relationships. I also witnessed how most people could accomplish more in a shorter time by being able to coordinate their activities with the help of mobile phones. However, the most significant economic change in the village since the turn of the century was not due to the use of mobile phones, but to the agricultural policies. Since farming small plots of land has become increasingly unprofitable, young men from small farms use their phones to find paid employment outside the village. Ilana Gershon: You discuss the fact that most West Bengali villagers did not have landlines, that their only experience of telephony were the mobile phones. This reminded me of Terry Turner’s discussion of Kayapo videos, that their makers had experienced radio and then video cameras without experiencing all the different media in-between that Euroamericans have. How do you think this affected people’s experiences of telephony – to never have had an experience with landlines first? Sirpa Tenhunen: Villagers who never had an access to a landline phone experienced the ability to use mobile phones as more spectacular than those of us who have routinely been using landline phones before mobiles became available. This does not mean that the idea of a landline phone did not at all affect how mobile phones were used: initially, when the phone density was low, mobile phones were mostly kept at home and shared by the household members. However, villagers were able to use mobile phones more innovatively since they had not developed routines of landline phone use. For instance, they frequently used the phone’s speaker to share the phone conversations with whoever was present. Ilana Gershon: How did the introduction of smartphones affect social organization in Janta? Did it change gender relationships? Sirpa Tenhunen: Smartphones were used to strengthen pre-existing identities but they also offered opportunities and technical affordances which challenged hierarchies. Contrary to their hierarchical position, educated young wives and children could become the phone use experts in their families. Low caste people were able to make identity statements simply by possessing smartphones. Digital sphere constructed through mobile telephony was first associated with male-dominated public sphere but it proved much more malleable than the public sphere outside the home from where women are still largely excluded—the great majority of women continue to be housewives despite women’s growing aspirations to be able to work outside the home. The young men pioneered the use of smartphones—if their older models were still working, they were kept in the house and used by the rest of the family, mainly by women, who usually stay at home more than men do. At the same time, few women who moved outside the home for work or study started to acquire their personal phones. Young women now also preferred smartphones, readily discussing the multiple functions of these phones and demonstrating their ability to use them. Most people stored music and films on the smartphone’s memory card from downloading shops instead of browsing the internet independently. I never saw women listening to music on their phone in public places like men do —listening to music on smartphones through the phone’s loudspeaker is used to ascertain the meaning of the public sphere as a masculine space where men can spend their leisure time. The few men and women in the village who have used their personal phones to browse the internet all had a college education. The ability to browse the internet with one’s phone was, therefore, related to one’s education and wealth rather than merely gender. Ilana Gershon: What kinds of social relationships or circulation of knowledge changed because phones made it common to have a one-to-one or dyadic conversation, which might have been difficult to achieve before the advent of mobile phones? Sirpa Tenhunen: Within the sphere of politics, mobile phones provided a channel to contact opposition political leaders discreetly. The use of mobile technology amplified multiplicity by strengthening clandestine political activities and alternative discourses. Women’s increasing access to a mobile phone influenced their relationships with men, but—more crucially— it influenced the kinship code of conduct and kinship hierarchies within families and between kin groups. I observed how phones offered women a channel to express unconventional ideas and exert their will through networking. For instance, a mother could advise her daughter over the phone to not to obey the mother-in-law whose demands were excessive. Thanks to phones, young wives were able to stay in constant touch with their natal families which was unheard of in the past. Ilana Gershon: One of your findings that I found startling was that mobile phones had contributed to a marked decline in village-level leaders’ power. Could you explain why this is the case? Sirpa Tenhunen: Mobile telephony was a crucial factor in the rise of the opposition in West Bengal, where the Communist Party had been in power largely through its network of local village leaders from 1977 until 2011. In 2010 opposition activists related to me how mobile phones help them secretly mobilize against the ruling party. Political activists used phones more to organize party meetings and offer political patronage than to organize spontaneous demonstrations and support. The parties’ power used to be largely derived from their role as arbitrators of disputes: any person who feels that he or she has suffered an injustice can call a village meeting, led by local political leaders, during which a solution will be negotiated between the disputing parties. Thanks to mobile phones, patronage could now increasingly be sought from opposition leaders and from outside the village. When I visited the village in 2013, I found that after the end of CPI(M) rule in the village in 2011, not a single general village meeting had been held to solve local problems and disputes. Mobile phone use had helped amplify translocal political networks thereby reducing the power of local village leaders. Phone use for political purposes built on earlier political patterns and meanings, but it made politics faster, more heterogeneous, and translocal.